Misouri Concealed Carry is your top resource for Missouri Concealed Carry Permit instruction. 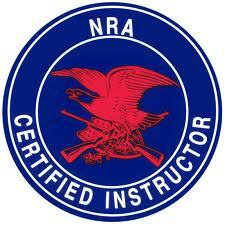 Our network of instructors are NRA certified. Browse our class schedule below. Click here to request Private Classes! Now teaching Missouri Concealed Carry Classes in St Louis, & in Your Own Home! If you have been considering getting an Enhanced Idaho Concealed Carry Permit, now is the time to act. Currently, the Missouri CCW Permit is valid in all the green states below. 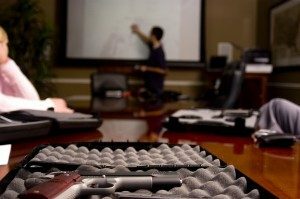 Our Concealed Carry Instructors are certified by the National Rifle Association (NRA) to teach select NRA classes. Each instructor uses a uniform curriculum that covers vital Missouri CCW info in addition to the state minimums. Learn about each instructor’s individual qualifications by visiting their profile pages. Does Missouri Accept Online Concealed Carry Classes? Lee Kropp did an exceptional job teaching the ccw class. Lee was very informative on every aspect of the responsibilities that come with having your concealed weapon. He also incorporated many life experiences and other stories into the class. Lee has the tools and knowledge to understand the laws that come with having your ccw. 3 very satisfied customers!!!!! It was an amazing class with some of the best instructors. The class and instructors are very personal. And I will definitely take more of there classes. Greatest CCW class! Lee takes boring laws and makes them understandable, even for a beginner. Lee keeps your attention and helps you understand best practices as a gun owner. I highly recommend taking him class. I came into the class unsure that I even desired to carry a firearm, but also curious about the process. The instruction was thorough and more importantly changed my mindset; it’s not about the person threatening you and your family, but instead about your right to protect yourself from the threat. What sticks in my mind most is the premise they started the class with; “If you ever have to use your weapon for defense, it’s going to be the worst day of your life.” I recommend this course to anyone who is thinking about getting a CCW permit. I found the class to be very informative and the instructor welcomed any and all questions making the entire class a relaxed environment for the students. I enjoyed it so much I am arranging a class for my friends, co-workers and family. Thanks Lee I now have much more understanding of how to also evaluate and eliminate bad situations regarding my safety as well as all other innocent bystanders. © 2019 Missouri Concealed Carry. All Rights Reserved.